HCM CITY — The Asia Sustainable Finance Initiative was launched in Singapore on Monday to help shift Asia’s financial flows towards sustainable economic, social and environmental outcomes. With WWF as its secretariat, the multi-stakeholder platform will bring together the finance industry, academia, and science-based organisations, to support Singapore-based financial institutions in deepening their sustainable finance expertise. It will provide Southeast Asian financial institutions with the right tools and knowledge to better manage sustainability and climate-related risks and opportunities as well as receive updates on upcoming research, tools and activities. Sustainable finance has been at the top of the agenda for Việt Nam since the finance sector is critical to driving sustainable business practices in major sectors such as rice, seafood and energy. In an effort to establish a green economy, the State Bank of Việt Nam issued Directive Number 3 in 2015 for promoting green credit growth and environment and social risk management in lending. WWF Việt Nam has been working closely with local partners, including the Việt Nam Banking Association, to help local banks incorporate environmental and social safeguards in their financing activities and make adequate disclosure of their progress. “Việt Nam has made significant progress in implementing sustainable finance principles, yet there remains huge potential for the finance sector to drive sustainable development to achieve positive environment, social and economic outcomes,” Văn Ngọc Thịnh, country director, WWF-Việt Nam, said. The financial sector is crucial in creating sustainable economic growth through its ability to influence companies to adopt best practices and to direct financial flows towards sustainable development outcomes. Financial institutions have significant potential to shape resilient economies. In addition, ASFI can foster peer-to-peer sharing with other national sustainable finance initiatives in the region. Sustainable finance is a critical lever in addressing the increasing vulnerability of the region to climate change, the degradation of land and ocean eco-systems, labour and water risk. The shift to sustainable economies represents around US$5 trillion worth of investment opportunities between now and 2030 in Asia alone. 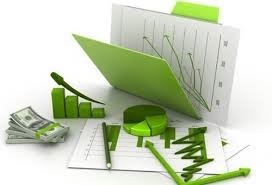 To support the finance sector in navigating these risks and opportunities, ASFI will seek to speed up the integration of Environmental, Social, and Governance (ESG) principles into financial decision-making, ensuring that this leads to measurable and meaningful outcomes aligned with the Paris Agreement and the SDGs.